All week, I have stumbled upon blessing after blessing. It’s like God’s little winks letting us know we are on the right track. I just love how He does that! I call it living in “flow”. This morning someone sent me this AHHHHH-mazing video and of course, I had to share it with all of you. As a confidence builder, affirmation addict (hence, #Tiffirmations) and advocate for empowering women to live their most authentic life– this video gave me chills, brought tears to my eyes and fueled me up for the day ahead. Please do yourself a favor and watch it, but not only watch it allow the message to sink down into your spirit. P.S. Will I see you at Stix & Brix on March 25th? I hope so! There’s still a few tickets available HERE! It has been an amazing, life changing, sometimes frustrating, work in progress to build my brand and Sanctuary Of Style. The tool that has helped me the most is video! I crack up when I look back at some of the very first SOS videos and how green I was. But, dang it— I had drive and passion! With those two things, we can accomplish anything even when all the pieces aren’t in place and things aren’t perfect. I shot my first video on my phone without a light kit or fancy editing. Now, I not only coach/mentor women, but I also get to teach people how to get started sharing their message on video! Regardless of your career or ministry, video is a wonderful way for people to get to know you and your business. What have you learned on this journey with me? Have you made lasting changes? Like what? Did you get my FREE ebook? 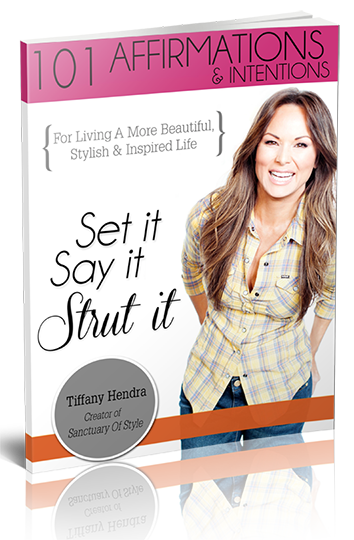 As a gift for joining the mailing list at TiffanyHendra.com, you will receive my ebook of 101 Affirmations and a list of “I Am’s”. I’m a firm believer in speaking powerful words over yourself on a daily basis. You will be happy to know I am prepping the closet to film new videos! I know, I know…you girls have waited long enough! How is your October going? The holidaze are around the corner and it can be a whirlwind of stress when it should be a relaxing celebration with loved ones. I’ve had an action-packed month so far myself and needed to reach in to my spiritual toolbox for some extra guidance last weekend. I realized I have slacked on using my daily affirmations! How dare I? It’s so important to me that I walk the talk and practice what I preach, but I admit- I’ve been a slacker. Typically, I hang them everywhere (fridge, bathroom mirror, desk, etc) to keep them smack in front of my face. Not sure why, but my house is affirmation free right now. I have a devoted prayer + mediation time in the morning, but sometimes life is so crazy we need the additional help to keep our mindset straight. If you have been following SOS for some time now you know how strongly I believe in the power of our words and the use of daily affirmations. I had to pull out my own affirmation ebook and printed out the whole spirit section and “declaration to myself”. It really works! If you are rolling your eyes and still on the fence about affirmations, I encourage you to try it for 21 days and see how your mood and attitude shifts. Shortly after I started the blog, I began posting affirmations on Sunday to help women (and myself) get their mind and spirit prepared for the week ahead. It quickly became the favorite post of the week and women would write me saying they would print them out. So in 2013, I compiled 101 of the best affirmations from those Sunday posts and put them in an easy to read Ebook. Did you get yours yet? This may be repeat info for many of you, but there are several new blog subbies I wanted to get this gift to! Read more + watch TV less. Give myself a pat on the back instead of beating myself up. Attend a movie, concert or seminar that inspires me. Go BIG and stop playing rinky-dink. Be my own biggest cheerleader. 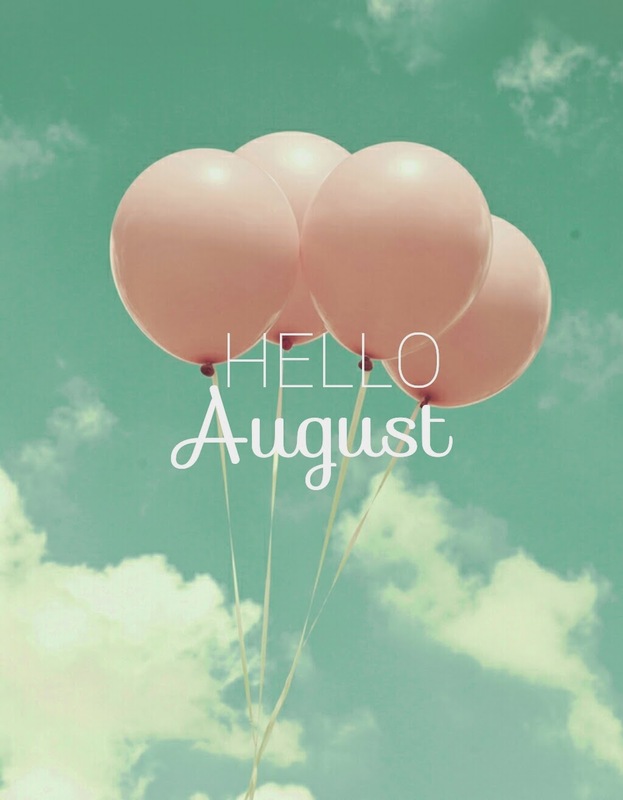 Stay excited with the expectation of what’s on the other side….even though I’m not sure what it is! Not base my identity on how I look, what I wear or what I own. I am a Child of God. Period! Use power words instead of wimpy words. Embrace that quirk about myself that I’ve always hated. Make more time for girltime. Remove the mask and be truly authentic. For the entire affirmations Ebook, simply join the mailing list on the front home page of wwwTiffanyHendra.com. Please use the hashtag #Tiffirmation when you share! Thanks. Also, take a moment to share this with your girlfriends who may need it and I would love to hear how affirmations have helped you in your life!